Have you been wondering how to get that little blue check mark on your Facebook accounts? You know, that check mark that shows all your followers that you’re someone with enough status for Facebook to verify it? Verifying your Facebook Page and earning that tiny symbol next to your business’s name makes you more official and credible. 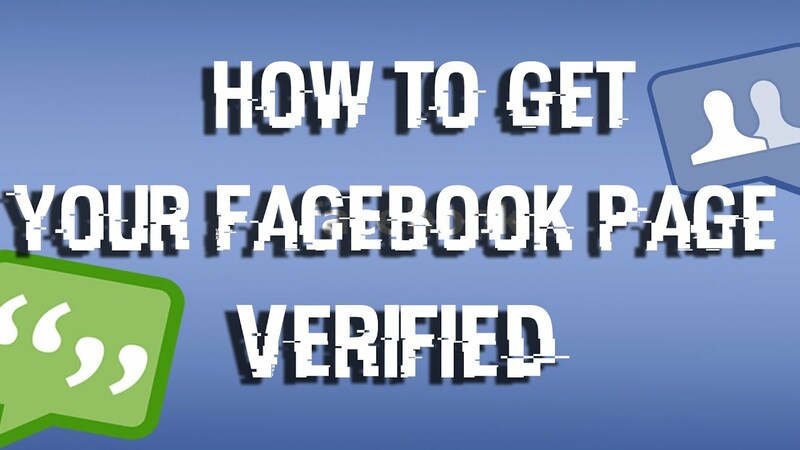 In this post, you are going to look at how to verify your Facebook Page and your Facebook profile, and everything that the verification process entails. Why Verify Your facebook Page or Profile? We put a lot of time and effort into creating social proof on all our accounts, including Facebook, because it’s a quick signal to other users that our business is important and established enough to earn it. Those verification checkmarks do exactly the same thing. WHO CAN HAVE A FACEBOOK VERIFIED PAGE? Before you start the process of FACEBOOK verification, you’ll want to make sure your Page is in top form. Facebook doesn’t have a strict list of requirements, but making sure that your Page looks great—and credible—will go a long way when Facebook is reviewing your request. It’s also important to note that only certain types of Pages can become verified. This includes Public Figures, Local Businesses, Companies, and Organizations. To verify your Facebook Page, start at the actual Page. Go to your Page’s settings, and then go to “General.” Here, you’ll see the option for “Page Verification” if you have the ability to get your Page verified. You’ll then have the option for “instant” verification, or for a more lengthy verification process. The former gives you the option to have Facebook call your Page’s publicly listed phone number. You’ll be given a verification code, which you’ll enter into the box Facebook provides you with. Then Facebook will award you with a gray check mark (and eventually, potentially a blue one). If you don’t want to use this method, you can also upload documents that show that you legally own the business. This includes business licenses, tax files, or articles of incorporation. Facebook will review them manually before approval. Getting your personal Facebook profile (where you have friends instead of fans) verified is a lot trickier than getting your business verified. Only people of a near-celebrity status will be able to get their personal profiles verified, even though a lot of the qualifications to getting verified are pretty much the same. You’ll need a lot of followers, though, which isn’t required for Pages. Once you submit your personal Facebook profile for verification (which, from what I can see you need to do by contacting Facebook directly), Facebook (if seriously considering your request) will get in touch and ask for documents that can help prove you are who you say you are, like a copy of your license. It depends on a number of factors, including what type of Page you have, how busy the Facebook team is, and even your number of followers. Facebook takes longer, for example, when approving businesses than some celebrities. This is a huge time span, but it can take anywhere from 48 hours to 45 days, especially for the blue badge of verification; the gray badge typically takes much less time. If Facebook doesn’t verify you, for whatever reason, it’s not the end of the world; like Twitter, you may just need to revamp your profile or Page and try again. Make sure that your Page is full and fleshed-out, with as much information as possible to make you seem credible. Writers can add publications to their “Impressum” section, and be getting more mentions or reviews from other Pages and users don’t hurt, either. You can also reach out to Facebook’s support for more information about why you may have been rejected, too. You can also reach out to Facebook’s support for more information about why you may have been rejected, too.